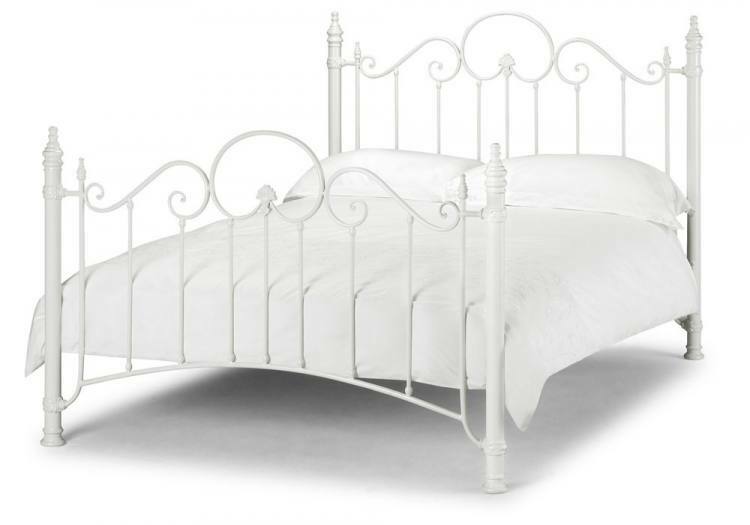 The Farlow Range: in Stone White Finish The Florence bed is full of great classical detailing reminiscent of the great Victorian era. Finished in a stone white eggshell textured finish and incorporating a sprung slatted base. Sizes Available: 135cm (4’6″) Double : £199 150cm (5’0″) King : £225 Please call to check stock and availability Free local delivery and set up in the room of your choice.